Height is an essential factor that determines the overall personality of an individual. Though being short does not in any way undermine an individual’s capabilities, it’s a fact that tall people often become the center of attention. Some short statured people not only suffer from a lack of confidence but also face certain difficulties in some aspects of their lives. 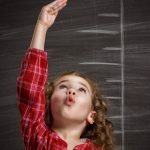 So, is increasing one’s height naturally really possible? If yes, how? That is what we are going to see in this post. Keep reading! About 20 percent or more of our body height depends upon our environment, activities, and diet. 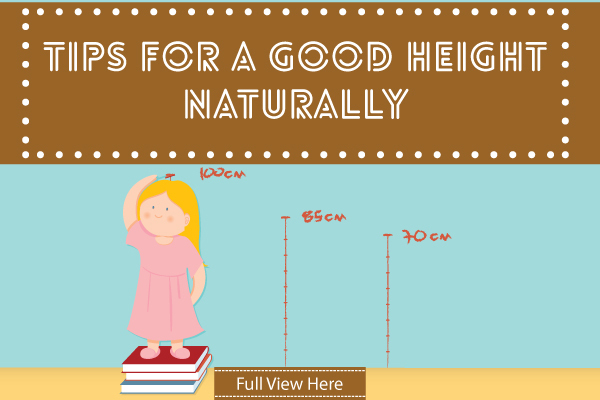 Thus, we can increase our height in a natural way by following certain basic rules in our daily lives. Taking a warm water bath before going to bed can greatly enhance the quality of sleep (1). According to the study, a sudden dip in the core body temperature can induce sleep and lethargy. You can drink one cup of chamomile tea before hitting the bed. This is really useful to induce sleep (2). One of the best ways to increase height naturally is by being physically fit and active as a child. Regular exercise and sports enhance one’s height. When you are physically active, your body demands more healthy nutrients and consequently, an increase in nutrient intake results in growth. Indulging in sports like swimming, aerobics, tennis, cricket, football, basketball or a number of other stretching activities are a good way to keep our body growing. According to a Spanish study, there is a direct relation between physical activity and bone development during growth (3). Our muscles play a major role in our growth. Hence, regular exercise or sports should definitely form a part of our daily activities. Activities like swimming (that include the entire body) can also contribute to one’s height. If started at an early age, swimming can ensure one has good growth. The breaststroke is especially recommended for those who wish to increase their height. Swimming, as already discussed, is a full body, intense exercise – something that will help to lengthen your muscles and build muscle strength. You can also try performing different kinds of stretches to begin with. These can include the car stretch, super stretch, cobra stretch, the bridge, bow down, twists, the table, and basic leg stretches. You can perform simple stretching exercises for a minimum of 15 minutes every day. Stretches can also be a great warm-up activity before you begin your workout session. Yoga is a great and comparatively less strenuous way to increase your height naturally. Yoga improves the overall fitness of your body, which is useful to give a boost to the rate at which you grow. Certain yoga poses facilitate the release of growth-inducing hormones in the body. The stretching and balancing exercises involved in yoga strengthen the muscles and improve the posture of the body as well. 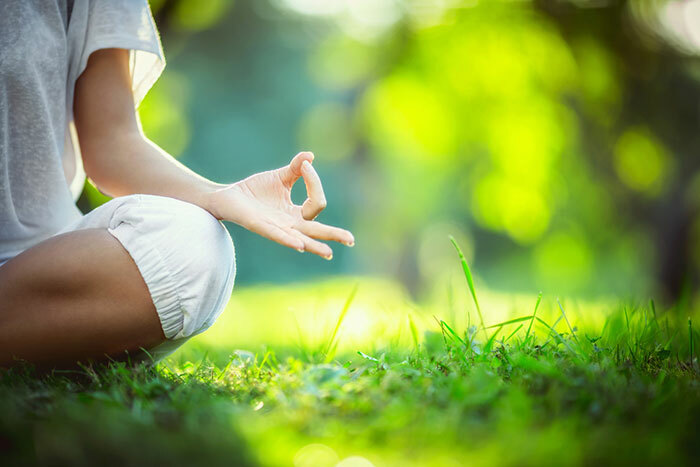 Try yoga poses such as the Triangle pose (Trikonasana), Cobra pose (Bhujangaasana), Mountain pose (Tadasana), Pleasant pose (Sukhasana), and the Tree pose (Vriksasana). You can also add Surya Namaskar to your fitness regimetoo. Right from childhood, emphasis must be laid on the maintenance of the right posture. A few simple ways to improving one’s posture include the following practices – sitting straight on a chair, keeping your shoulders straight and chin high, keeping your hips over your feet while walking or standing can, etc. Also, remember not to hunch while walking. A straight spine and a strong back can help increase your height. Align your neck and head without bending or slouching. Having a good pillow and a body-friendly mattress are important in keeping your spine straight. It should be noted that your shoulders should not stoop while walking or standing. Hunching should be avoided by all means. A good posture makes you look tall, smart, and confident. A balanced diet is absolutely essential to get proper nutrition. Stay away from junk food at any cost. Avoid saturated fats, carbonated drinks, and excessive sugar-loaded foods, as these can cause a negative impact on your overall growth pattern. Ensure you get all the vitamins and minerals that your body needs in order to have a healthy growth. There are many other foods that can help you maintain a balanced diet. Vitamin D and proteins help in triggering the growth hormones, and are required for the proper growth of teeth and bones (4). Hence, the foods that are rich in these nutrients such as cheese, legumes, tofu, lean meat, and egg white should be included in your diet. The proper intake of zinc is also very important, as its deficiency can lead to stunted growth in children (5). Foods such as asparagus, chocolate, eggs, oysters, and peanuts are rich in zinc. Calcium found in dairy products and green vegetables is required for the growth and development of bones (6). 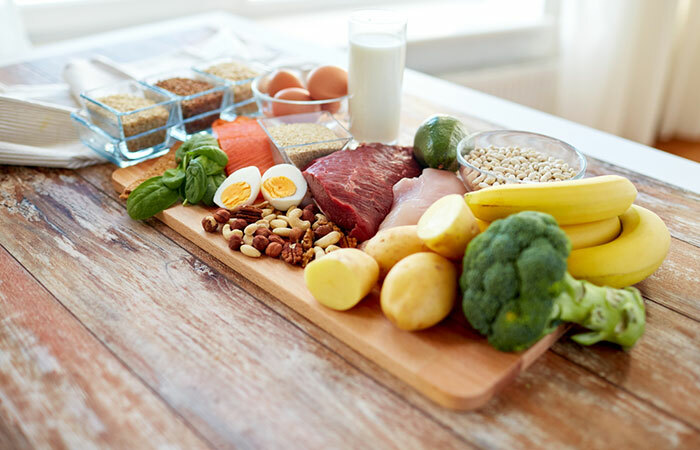 Other nutrients like magnesium, phosphorus, carbohydrates, and vitamins should not be ignored as they also contribute towards the proper growth of the body. The nutritional requirements can also be fulfilled by taking supplements in limited quantities. It is important to have a good metabolism. Hence, you can have six balanced meals throughout the day. Smaller but well-spanned portions can be helpful to boost your metabolic rate. This will lead to lesser fat storage in your body, thus allowing you to grow taller. Taking drugs and alcohol at a young age can be extremely harmful (7). Consuming these can lead to stunted growth and malnutrition, thus preventing you from reaching your maximum height. The intake of caffeine should be restricted, particularly among children, as it can impair the ability to fall asleep (8). As kids and adolescents require a good eight to 11 hours of sound sleep, caffeine can restrict that to a great extent, thus indirectly contributing to short stature. Apart from this, steroids have also been found to inhibit bone growth in young children, adversely affecting their height. Research has shown that asthma-affected children and teenagers who use inhalers tend to grow up to about half an inch shorter than others. This is because these inhalers dispense relatively small amounts of the steroid called budesonide (9). Certain childhood illnesses can also cause stunted growth. These can be avoided by regular immunization and intake of plenty of Vitamin C (which is found in citrus fruits like orange, grapefruit and lemon). There are a number of ways you can strengthen your immune system – by eating whole and fresh foods, and avoiding processed and hydrogenated foods such as the very popular margarine. A healthy diet will lead to a healthy immune system. Incorporate lots of fruits, vegetables, legumes, whole grains, and foods rich in antioxidants and omega-3 fatty acids in your diet to maintain a healthy immune system (10). If you have reached your mid-teens and hail from a family where all members are tall, but find yourself to be still short, then it could be time to visit a doctor. Certain medical conditions can be detected at an early stage. Hence, if you are doing everything required, but still aren’t seeing considerable growth, seek medical advice. If a person is tall but lacks confidence, it’s of no use. 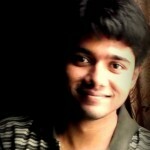 Hence, it is very important to build confidence from childhood and cultivate it as you grow older. You can take part in school activities, or join a club and spend time pursuing your interests and hobbies. All of these act towards boosting your mood and give you a sense of well-being, thus affecting your confidence levels. If you have a positive mindset and are brimming with confidence, even a shorter stature won’t seem to be a hindrance for you. Hence, build your confidence! Now that you know what you need to do to increase your height, you must also know something equally important – the factors that can affect your height. Being tall isn’t in our control, is it? Well, even if it is, it is only partly true! Genetic and non-genetic factors have a major role in determining our height. Our height is regulated by the “Human Growth Hormone (HGH)”. HGH is secreted in our body by the pituitary gland, and is required for the proper growth of bones and cartilages. Our height is determined by several genes. If both your parents are short, it does not mean you won’t be tall. However, if most of the members of your family from both sides are of short stature, then the next generations are most likely to be short. Genetic factors are entirely beyond our control. It has been found that about 60 to 80 percent of the difference in height is directly linked to genetic factors (11). 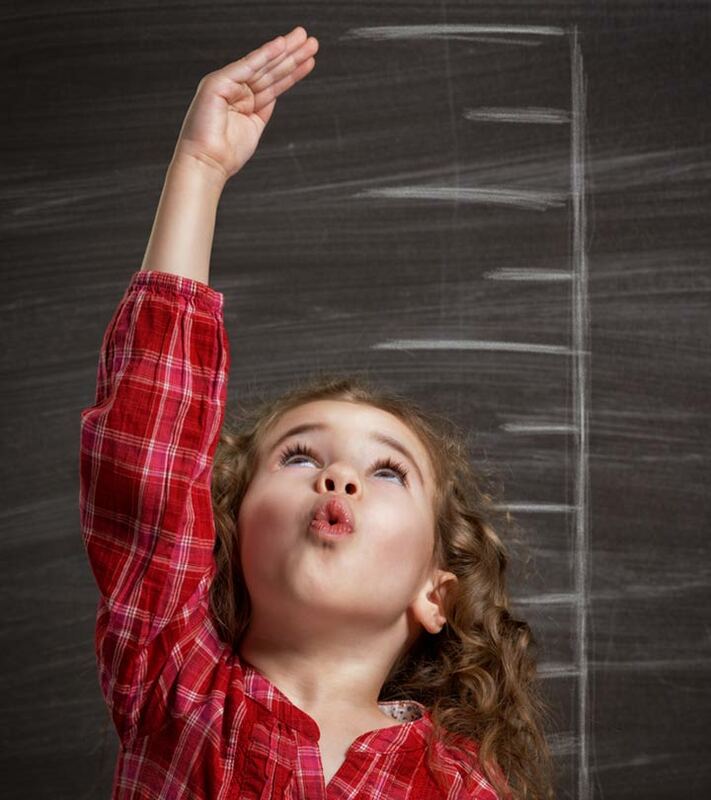 Add the values of both your parents’ height, either counting in inches or centimeters. If you are a male, add 5 inches, that is, 13 cm to the resultant value. However, if you are a female, deduct 5 inches from this value. Divide this number by 2. What you get is your estimated height. This can be plus or minus 4 inches. This is a way to predict what your approximate height will be. There are several non-genetic factors that influence your height to an extent. Being tall is associated with growth, and hence, being short can be attributed to inadequate nutrition, lack of physical activity, incorrect posture, etc. Don’t wait any longer. Start right away and you might as well see yourself become taller! Also, tell us how this post has helped you. Do comment in the box below. How To Increase Height In Kids? How Does Cycling Help You Gain Height?